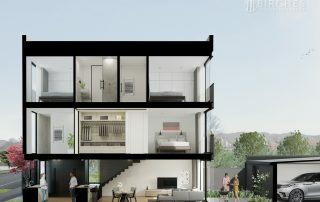 Set to showcase contemporary excellence and yet another successful collaboration between +MAP Architects and Countrywide, these two and three-bedroom townhouses will deliver exceptional quality and style and are perfectly positioned between the leafy landscape of Hagley Park and the vibrancy of Victoria Street. 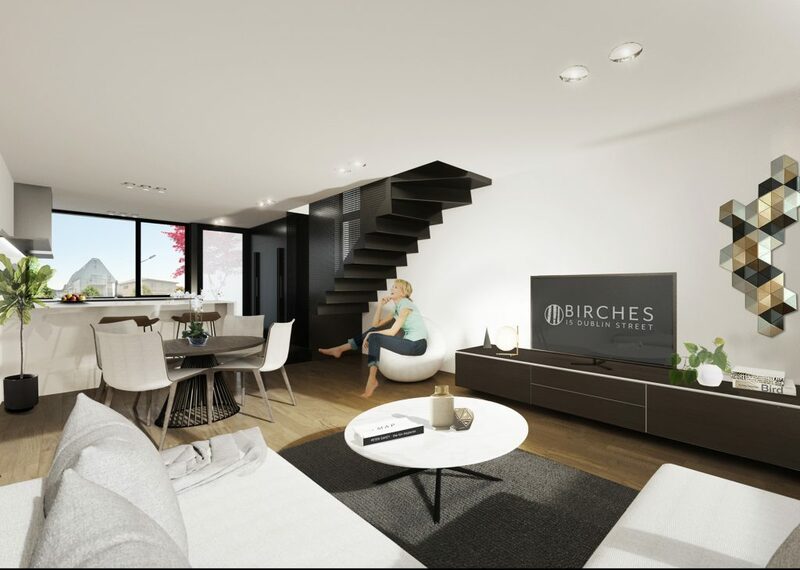 Offering a total of seven townhouses that will exhibit intelligence and sheer elegance, noteworthy features include a smart-home system, oak timber floors and premium Miele appliances which ensure these properties will be smart in every sense of the word. The floor plans range from 102m2 to 143m2 and will be constructed over two or three floors respectively. 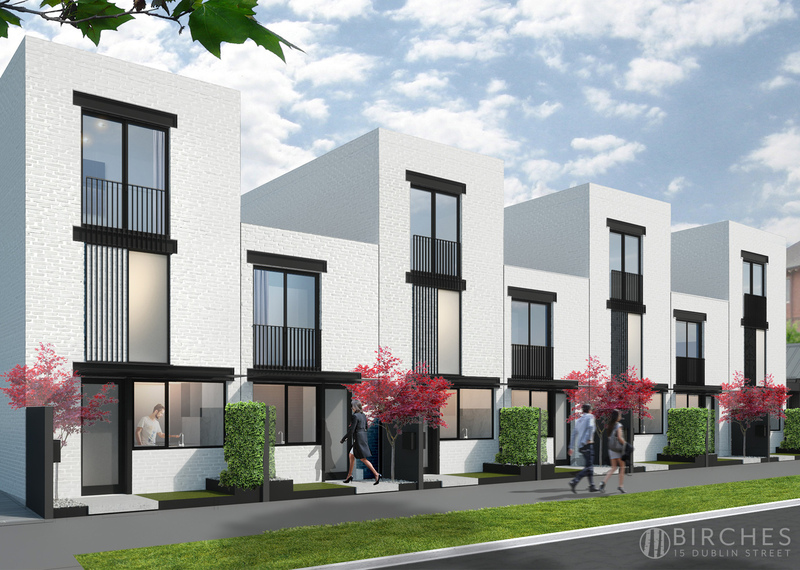 Configured to accommodate contemporary routines, the ground floor of each townhouse will feature an open plan living area that extends out to an easy-care terrace and a garage beyond. 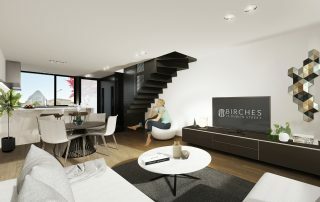 The upper levels are dedicated to the bedrooms with the master boasting the luxury of a walk-in wardrobe and ensuite, while bathroom facilities thoughtfully complement every bedroom. 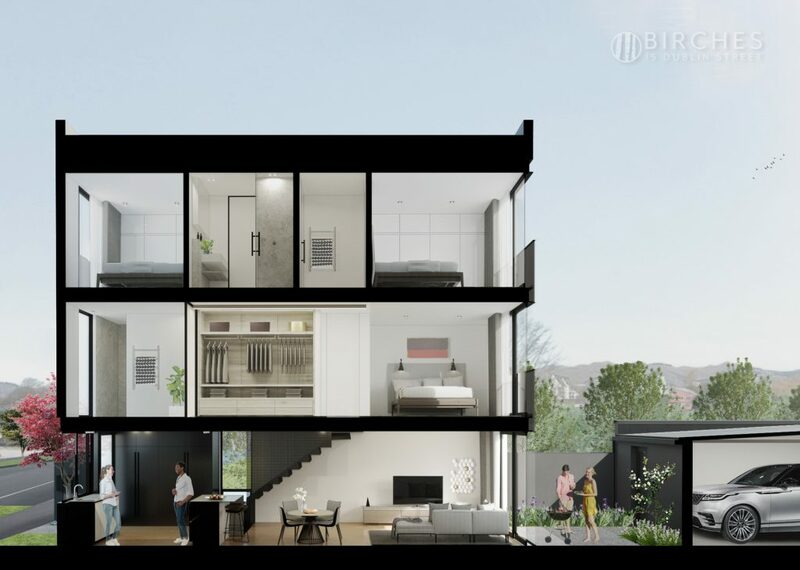 Morning strolls around Hagley Park and evening meals down Victoria Street will be a regularity with both situated just moments away, and proximity to Merivale, the city centre and superb schooling options ensure every convenience is within easy reach. These exquisite townhouses will set a new benchmark in modern style and allow you to enjoy an inner-city lifestyle while retaining a sense of all-important privacy.